I was given my blogging name of Meticulous Mick by my fellow gardener The Sage as when it came to weeding etc. I would look to get every little blighter out of the beds. The bed had to perfect. And here MM strikes again, not content with my first photo of the broom in the garden (the key parts were not sufficiently sharp) I had to go back and get a better shot. 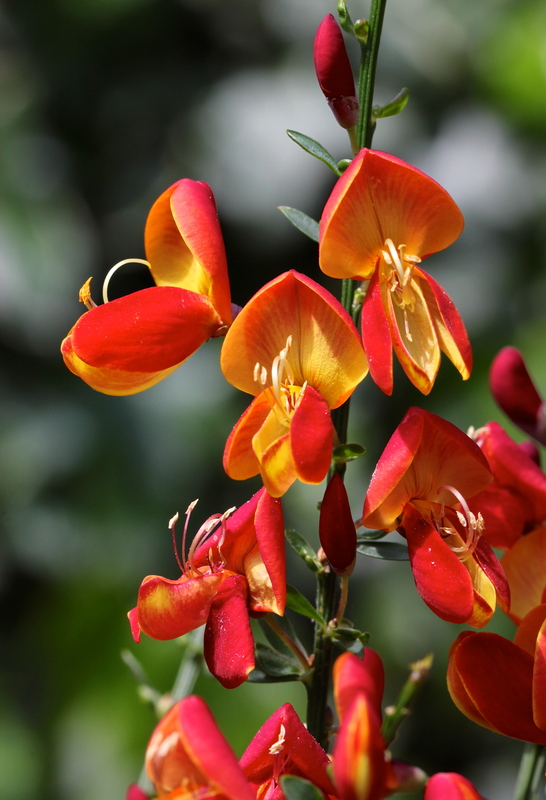 So here is my revised offering of the Broom in the garden and I hope I have captured the beauty of this humble plant. I think I am happy with it now. Wow. Fascinating perspective. I liked how you protected this issue…. a different perspective. I am super keen to study your following post. Is it possible to make the next one more in depth? Thanks for popping over and commenting. There will be a more in depth post coming out on this on July 10th as I have teamed up with Britt Skrabanek for a piece. She is a great writer, you should check her out. Beautiful! Your blog is uplifting to me. I wish I had the patience to pull every weed. But then there would be nothing left in my garden. Wow this lovely. What kind of flower is this? Took some searching but found this one! BTW, the pic of the broom blossoms is truly beautiful. You have a great eye for beauty even in humble places….weeds can be exquisitely beautiful… that’s how I found the name for my blog!